Beliefs shape the way we interpret and interact with the world. It is fascinating to begin the conversation about how our beliefs have culturally evolved - just as species have evolved on our planet. 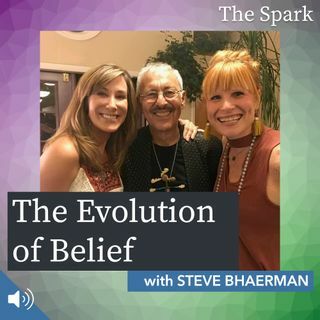 Join me as I discuss ... See More these transformation topics with author, humorist, and political and cultural commentator Steve Bhaerman and his discuss his book with Dr. Bruce Lipton, Spontaneous Evolution. An exciting new era awaits!